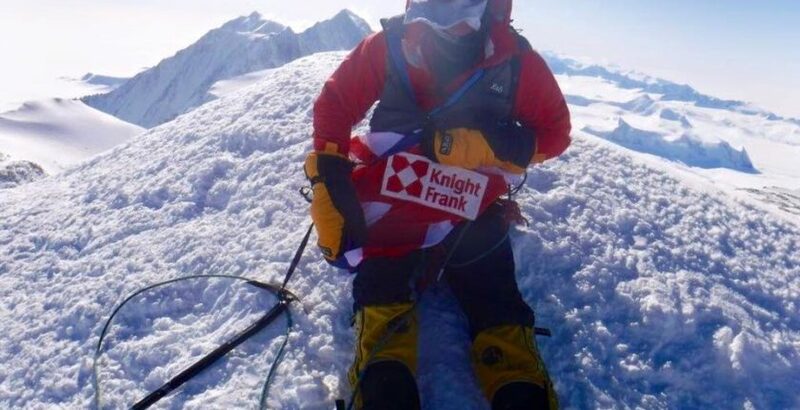 Knight Frank Head of Healthcare Julian Evans is taking on an epic challenge to raise funds for charity. Julian is aiming to climb the highest mountain in North America, Mount Denali, as part of his goal of completing the True Adventurers Grand Slam, in aid of the serious injury and disability charity, The Matt Hampson Foundation. The True Adventurers Grand Slam is an adventurer’s challenge to reach the North and South pole and climb the Seven Summits (the highest peak on every continent), that has so far only been completed by 15 people in the world. Julian said: “Outdoor endurance events and expeditions have brought me an immense amount of satisfaction in the past. Being able to conquer some of the world’s greatest exploration challenges whilst raising money for valuable causes close to my heart is very rewarding personally, whilst also offering something back through the fundraising. A long list of generous sponsors are aiding Julian in this mission including Caring Homes Group and Bupa, as well as Runwood Homes, Care UK, Avery Healthcare Group, Maria Mallaband, Hadrian Healthcare, Barchester, Hallmark Care Homes & Halebourne Group. Julian is aiming to raise £60,000 for The Matt Hampson Foundation. Lord Coe and Sir Ranulph Fiennes are supporters of his endeavours. In addition to his role at Knight Frank, Julian is a British Adventurer and dedicated fundraiser, a Fellow of the Royal Institution of Chartered Surveyors, Fellow of The Royal Geographical Society, member of The Alpine Club and member of The Explorers Club.